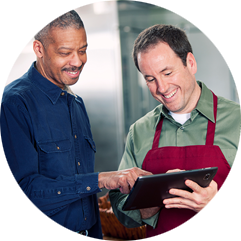 CCAT recognizes that energy use affects the success of all organizations. We lead planning and policy initiatives that focus on sustainable, reliable energy use and innovative technologies to offset energy demands. 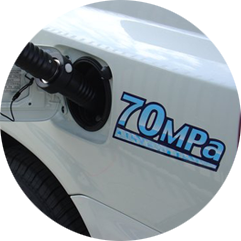 To advance a hydrogen-fuel cell economy within Connecticut and the Northeast, we administer collaboratives such as the Connecticut Hydrogen Fuel Cell Coalition and the Northeast Electrochemical Energy Storage Cluster. 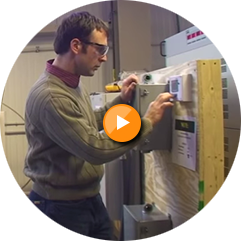 CCAT also works with the state Department of Energy and Environmental Protection and the U.S. Department of Agriculture to assist rural municipalities in applying for the state microgrid program to support their mission-critical power loads. We validate and analyze how a generation facility could be developed in a microgrid configuration to increase environmental performance, lower energy costs, and improve power reliability. Hydrogen & Fuel Cell Advancement - CCAT advances the development, manufacture, and deployment of fuel cell and hydrogen technologies. Energy Planning - Advancing community-supported solutions to reduce energy costs and increase reliability. Renewable Energy - Promoting energy solutions using advanced, renewable technologies. Applied Energy Research - Rely on CCAT's experts to lead and conduct applied energy research. Funding / Grant Opportunities - Find out how CCAT can help you tap into potential funding resources. More than 600 companies are part of the CT fuel cell & hydrogen supply chain. In 2015, the industry realized $726 million in revenue and investment, generated 3,400 direct, indirect and induced jobs and more than $340 million in labor income, & contributed more than $39 million in state and local tax revenues. CTTransit, a bus system underCT’s Department of Transportation, began operating demonstration fuel cell buses in 2007; it now operates one fuel cell bus in daily revenue service. In 2017, a public hydrogen fueling station will be opened in Hartford, CT, one of 12 initial northeast U.S. hydrogen stations under development by Toyota and Air Liquide. A 63.3-MW fuel cell installation in Beacon Falls has been approved by Connecticut’s Siting Council. When built, this will be the world’s largest fuel cell power park, surpassing a 59-MW fuel cell installation in Korea. Hydrogen can be produced by water electrolysis, which can be powered by electricity from renewables such as solar or wind power or from nuclear energy and the grid. Hydrogen can be sourced from fossil fuels, such as natural gas or propane, or renewable fuels including anaerobic digester gas and landfill gas. A fuel cell is an electrochemical device that uses hydrogen and oxygen from the air to produce electricity, with water and heat as its by-products. Since 2012, CT Green Bank supported projects have created an estimated 8,295 job-years and, over the life of the projects, prevented the emission of an estimated 1.4 million tons of carbon dioxide. 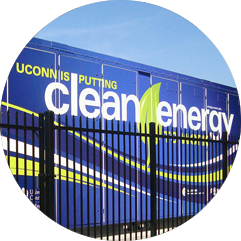 New Haven, one of CT’s largest cities, is home to a number of fuel cell installations, including a fuel cell-powered city hall. The largest fuel cell power project in North America is in Bridgeport, CT.
Connecticut is one of the top three states, including California and New York, leading the statewide use of hydrogen and fuel cells in the United States.